New season New menu,lots of tasty surprises! 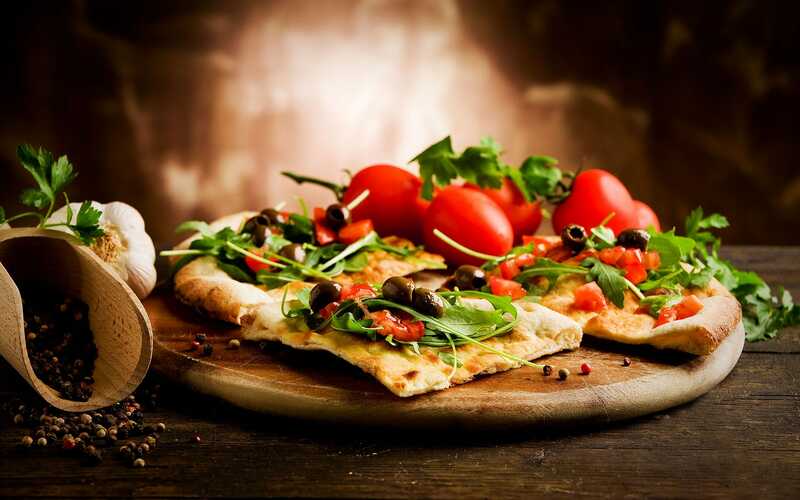 Stone oven pizza is the best! Dangelo… The art of hospitality. For us the focus is to not only serve fine food but to also offer our guests unique hospitality services and a pleasurable and unforgettable experience!! COMING SOON !!! 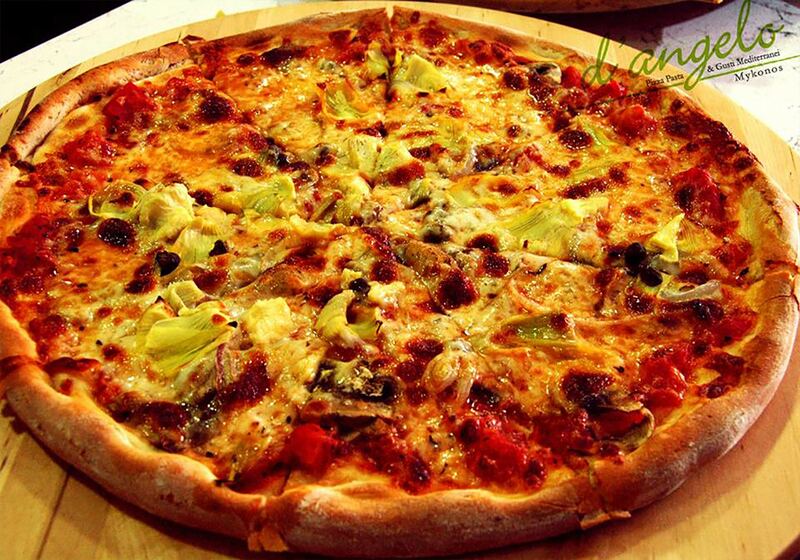 Order your favourite pizzas, pastas and more with D’Angelo’s online ordering system. 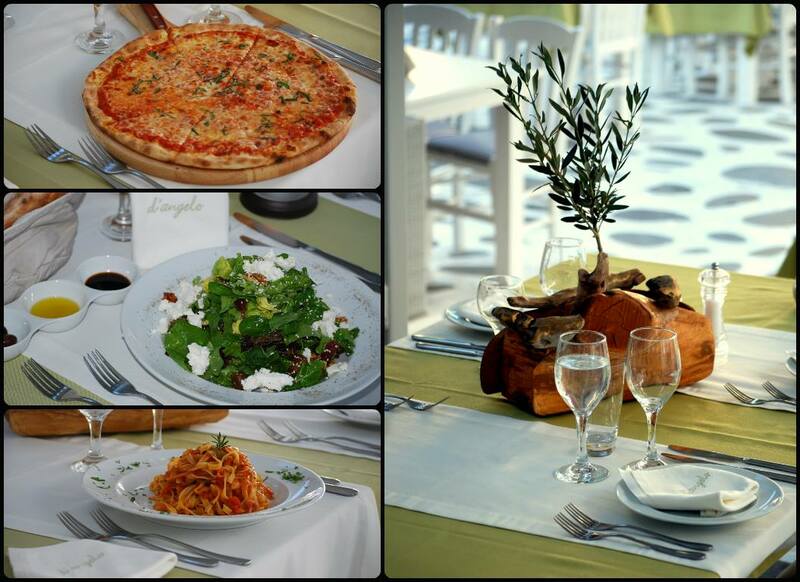 D’Angelos Traditional... Picturesque… Delicious… D’Angelos presents to you a Mediterranean –Italian food experience. Located just steps away from the famous Windmills of Mykonos, D’Angelos white-washed walls, splashes of color and scenic area entice you to stop and absorb the relaxing atmosphere. Once seated in D’Angelos cool, shaded outdoor area your options become endless with tastes that will inspire anyone’s imagination… Perhaps a traditional selection from D’Angelos Italian menu… Authentic ingredients prepared following the gastronomic Italian standards with care by a pizzaiolo and baked in a traditional stone oven. To complete this experience an Italian wine collection is available… Or possibly a selection from the unique flavors of D’Angelos Mediterranean menu. Locally grown products are used in recipes that have been passed down through generations including soups, salads, appetizers and entrees. 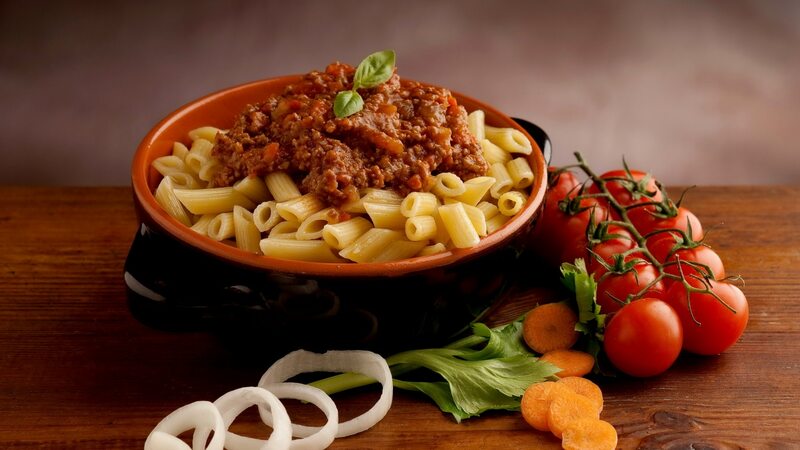 This combination helps to create tastes that are sun soaked and impossible to imitate! D’Angelos open plan kitchen offers the opportunity to observe each individual plate as it is being prepared. 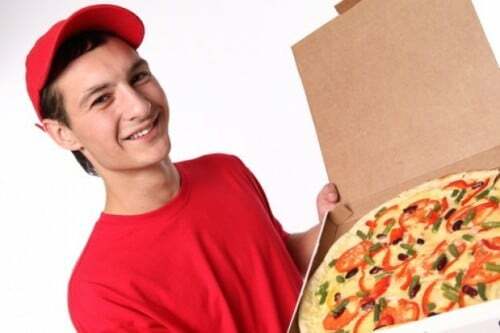 This combined with its ability to relax and entice you; D’Angelos strives to complete your unique experience with our policy of honest prices, free delivery, catering, breakfast, lunch and dinner. 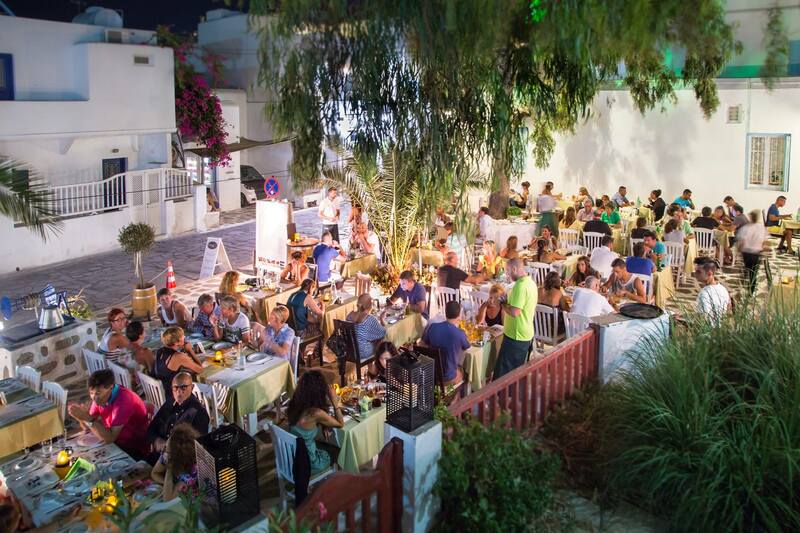 Authentic and flavorful, D’Angelos is committed to providing you with an experience that will stand out in your mind, and your taste buds, from all your ventures in Mykonos! !